Home / Blog • Headline / Goodwood, Osprey, Southampton and Bournemouth half marathon and 10k. Bags of racing to report on from Goalspecific athletes at the weekend and some excellent racing as the season starts to kick into action. Russ, Steve, Sarah and Ade were lining up at the Goodwood Duathlon but not before Fin had competed in the Tristar 2 race. He judged the race brilliantly finishing strongly in the top 15 out of 50 despite giving away about a foot in height to most of his competitors! Fran was intending to take on the longer version of the race was was scuppered by a flare up of tendonitis. Russ had a blistering first run coming into transition in the top 3 followed not too far behind by Steve, who went to work on the bike trying to track Russ down, and managing to get past him in about lap 5 out of ten. Unfortunately, Steve decided to take the spinal tap approach to lap counting and went all the way up to 11! Never mind – all good for building the race speed Russ posted a good bike split and a 29 minute second run resulted in an 11th place finish overall and 3rd in his age group. Despite the extra lap, Steve still finished 18th overall and also 3rd in his age group – great results. 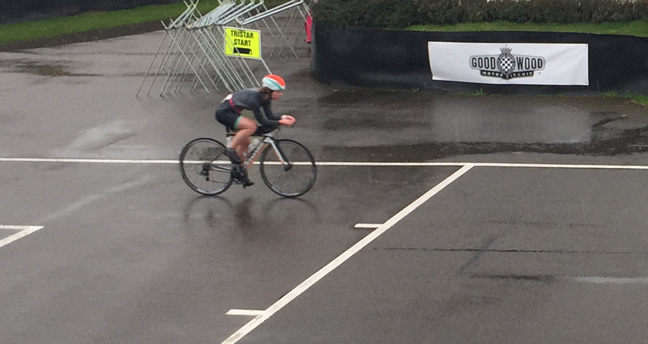 Sarah had a cracking race, all the way through with consistent run and bike times producing an excellent 7th place overall and 2nd in her age group in her first duathlon – great form coming so quickly since joining the Goalspecific team. As for me (Ade), have to be reasonably happy with a 17th place in the shorter event after doing my ribs in having fun in the mountains in February . George Bareham and Eric were both in action at the Osprey sprint in Weymouth. Super fast racing from George – 5th overall in a remarkably competitive field as he gets in a bit of speed training before taking on the London marathon and upcoming major championship qualifiers. 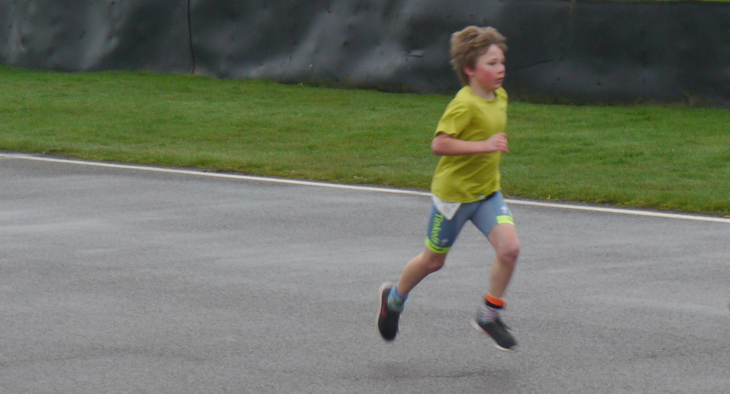 Eric also had a good race, finishing 2nd in his age group – again with a lot of competition around him – great result! First tri of the season for Neil Grice at the Southampton Fast Twitch and another brilliant result as he stepped up in distance from previous races, also finishing 2nd in his age group with particularly fast bike and run splits including a 5km pb! The hard work is starting to pay off for Neil who will be flying up the hills at our Alpe D’Huez camp in a few weeks. Finally, building the run speed in Bournemouth, Simon put down a marker with an excellent pb in the Bournemouth bay half with 1hr38min finish time and a first outing for Lisa who had a good run in the 10k on the back of a full weeks training.